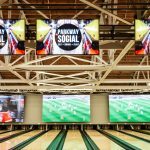 Parkway Lanes & Arcade has been the “go-to” place for bowling and arcade fanatics alike for almost 50 years in St. Catharines. 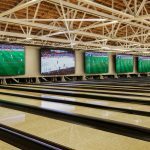 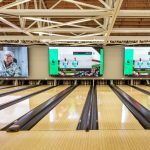 The well-known establishment recently wanted a massive upgrade to its century-old-style building and they needed the best technology that would ‘wow’ bowlers and gamers in today’s tech-savvy-entertainment-driven world. 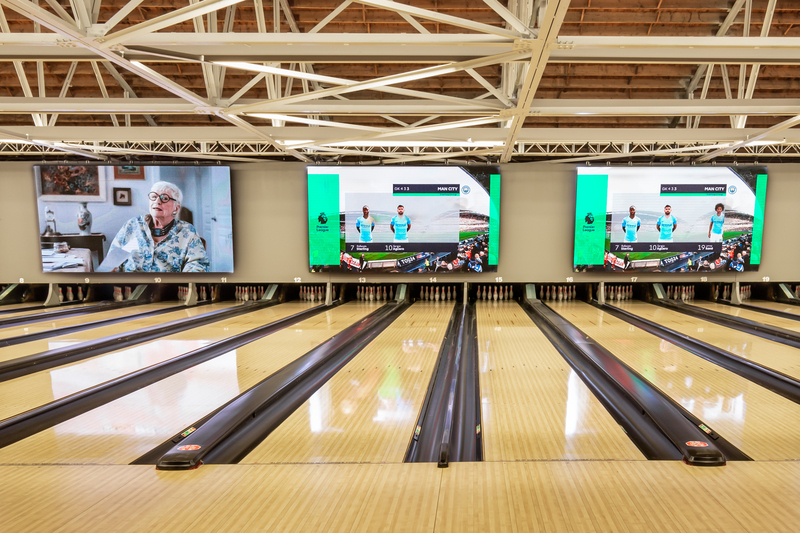 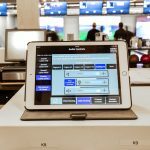 The team at Design Electronics got to work right away with architects and contractors, and they installed the best technology – Direct LED Monitors and a cutting-edge sound system. 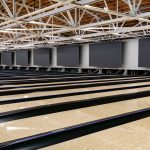 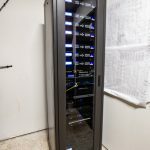 During the entire process, the Niagara-Falls based company worked strategically while all the renovations were being completed at the facility. 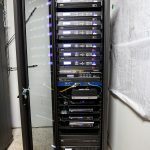 The project was very successful and Design Electronics coordinated and completed the project on time and on budget. 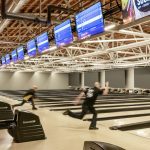 The newly renovated facility is a hit and night-after-night it is jam-packed with people having fun while bowling and playing arcade games. 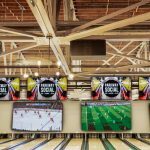 People who frequent Parkway Lanes & Arcade enjoy the lively atmosphere, sports games and movies on the big screens and the loud music that keeps everyone entertained. 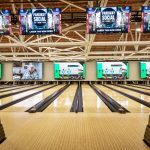 The owners highly credit the team at Design Electronics for helping transform the facility that is futuristic in every sense.